Are you a business owner looking for “cloud” financial bookkeeping support at realistic prices and convenience? Then this service is for you. We take out the hassle of bookkeeping for businesses by managing cloud technology and service based support to your business. How does it work? We introduce you to the appropriate cloud based software and integrate your daily transactions. Resulting reports are accessible & prepared to meet your requirements. Once you agree with the reports, we can then electronically lodge BAS & other mandatory reporting requirements on your behalf. Contact us for more information or details. # Initial setup of accounts. # Import electronic bank statement or spreadsheet transactions. This includes allocating transactions to appropriate accounts and reconciling against the provided statements. We contact you over any transactions we are not sure about. # BAS reconciliation against the Profit & Loss (to ensure GST is correct) and electronic submission to ATO on your behalf. 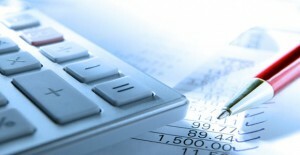 We provide a summary of the accounts and BAS calculations.